High quality CNC’d alloy headlight bracket. 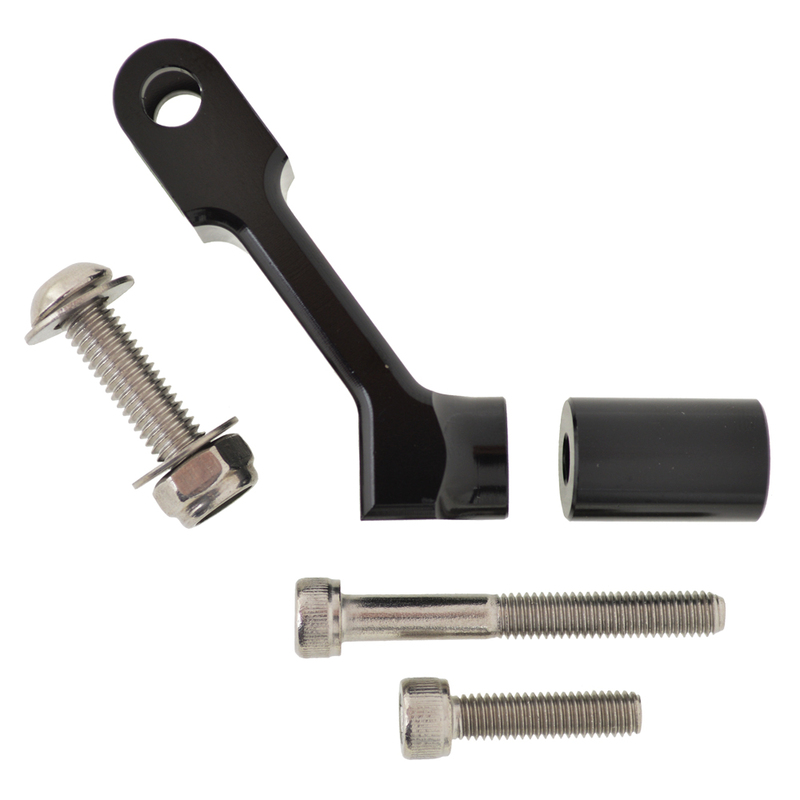 Unlike pressed steel headlight brackets this tough bracket will not fatigue and fail from road vibrations. 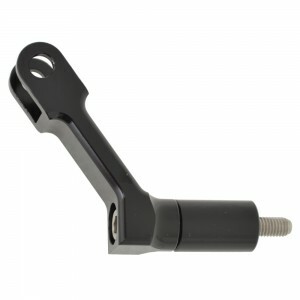 V-brake or cantilever brake (with spacing adaptor) compatible. Includes: M5 x 20mm socket allen key bolt (for use with V-brake equipped cycles), M5 x 40mm socket allen key bolt and alloy spacer (for use with Cantilever equipped cycles), M6 x 25mm button head allen key bolt / 2 x M6 washers / 1 x M6 nylock nut (for headlight mounting).